The rival Hamas group that runs Gaza called the move a blow to unity efforts that faltered since the two groups signed a new reconciliation deal in Cairo in October 2017, but disputes over power-sharing blocked the implementation of the agreement. “This is a separatist government, it has no national legitimacy and it will reinforce the chances of severing the West Bank from Gaza,” said a statement issued by Hamas as the swearing ceremony in Ramallah ended. The PA has been squeezed by steep US aid cuts, with the crisis exacerbated by a dispute with Israel over the withholding of some five percent of the monthly tax revenues it transfers to the Authority. Israel said the sum it is holding back matches money used by the PA to pay stipends to families of terrorists in Israeli jails. The PA has refused to accept any tax transfers until those funds are restored. It scaled back wages paid to civil servants in February and March to weather the crisis. Moreover, Israeli Prime Minister Benjamin Netanyahu, who is heading toward a fifth term in office after an election on April 9, said he would annex Israeli settlements in the West Bank if he were reelected. If implemented, the move would be a grave blow to Palestinian aspirations for a two-state solution based on the 1967 borders. Nickolay Maldenov, the UN special Middle East peace envoy, welcomed the announcement of a new government and promised to cooperate with it. “The United Nations remains fully committed to working with the Palestinian leadership and people in ending the occupation and advancing their legitimate national aspirations for statehood based on UN resolutions,” said Mladenov. 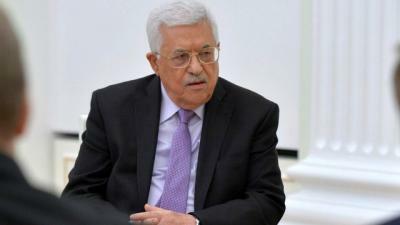 Mahmoud El-Aloul, the second in command in Abbas’s Fatah movement, acknowledged the challenges facing Shtayyeh’s government, including the peace proposal Trump is expected to announce in the coming weeks or months. Shtayyeh, a former government minister, has been part of a number of Palestinian negotiating teams in US-brokered talks with Israel.